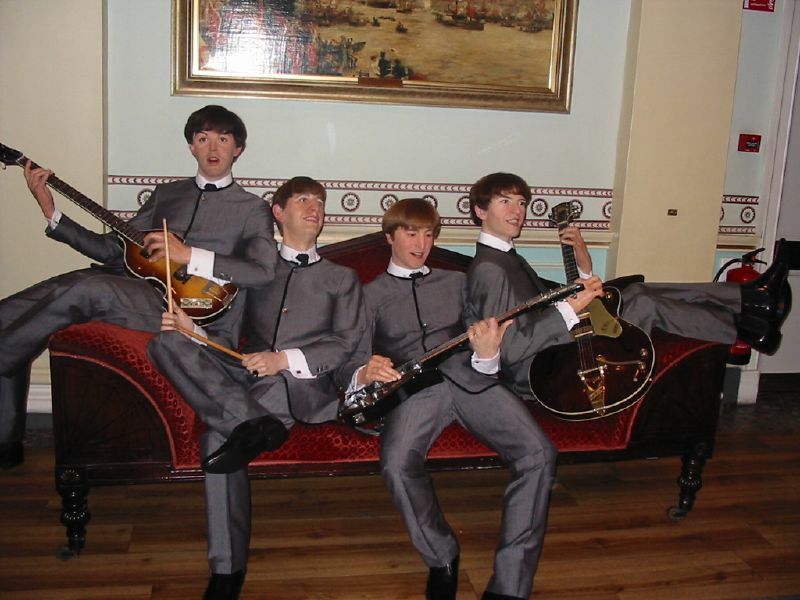 Madame Tussauds is a wax museum in London with branches in a number of major cities. 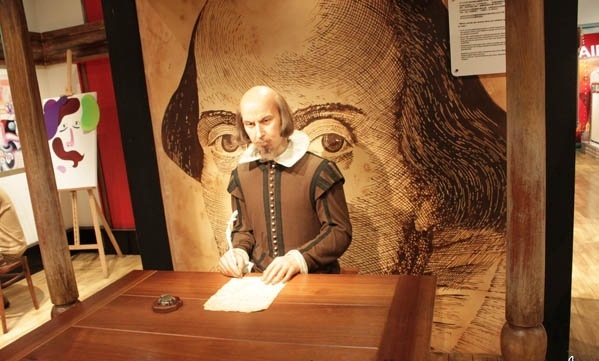 It was founded by wax sculptor Marie Tussaud and was formerly known as «Madame Tussaud's», but the apostrophe is no longer used. 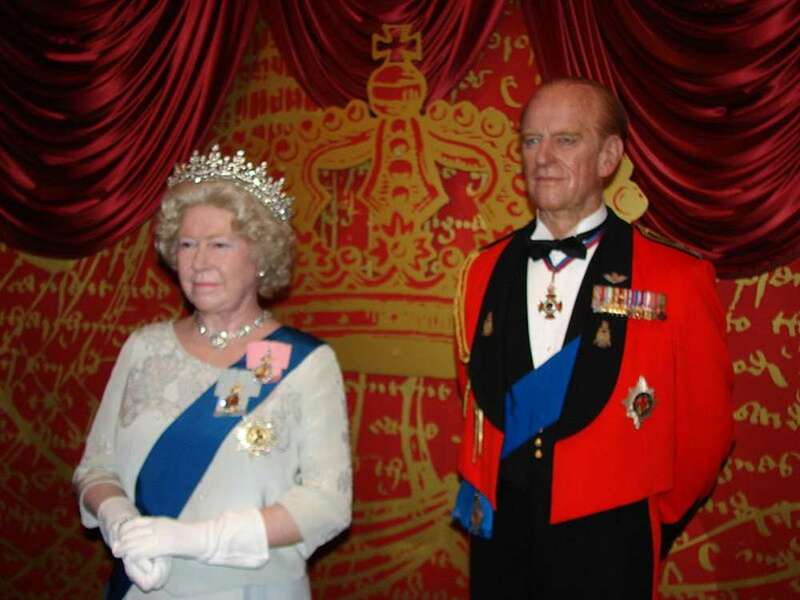 Madame Tussauds is a major tourist attraction in London, displaying waxworks of historical and royal figures, film stars, sports stars and infamous murderers. Marie Tussaud, was born Anna Maria Grosholtz (1761–1850) in Strasbourg, France. Her mother worked as a housekeeper for Dr. Philippe Curtius in Bern, Switzerland, who was a physician skilled in wax modelling. 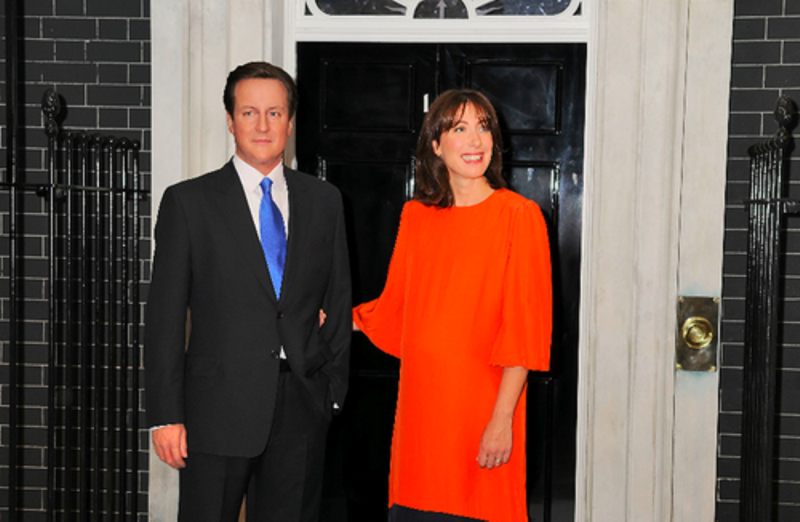 Curtius taught Tussaud the art of wax modelling. Tussaud created her first wax figure, of Voltaire, in 1777. Other famous people she modelled at that time include Jean-Jacques Rousseau and Benjamin Franklin. During the French Revolution she modelled many prominent victims. In her memoirs she claims that she would search through corpses to find the decapitated heads of executed citizens, from which she would make death masks. Her death masks were held up as revolutionary flags and paraded through the streets of Paris. Following the doctor's death in 1794, she inherited his vast collection of wax models and spent the next 33 years travelling around Europe. Her marriage to Franзois Tussaud in 1795 lent a new name to the show: Madame Tussauds. In 1802, she went to London having accepted an invitation from Paul Philidor, a magic lantern and phantasmagoria pioneer, to exhibit her work alongside his show at the Lyceum Theatre, London. She did not fare particularly well financially, with Philidor taking half of her profits. As a result of the Franco-British war, she was unable to return to France, so she travelled throughout Great Britain and Ireland exhibiting her collection. From 1831 she took a series of short leases on the upper floor of «Baker Street Bazaar» (on the west side of Baker Street between Dorset Street and King Street), which later featured in the Druce-Portland case sequence of trials of 1898-1907. This became Tussauds first permanent home in 1836. By 1835 Marie had settled down in Baker Street, London, and opened a museum. Madame Tussauds London is a major tourist attraction located in Central London, housed in the former London Planetarium. 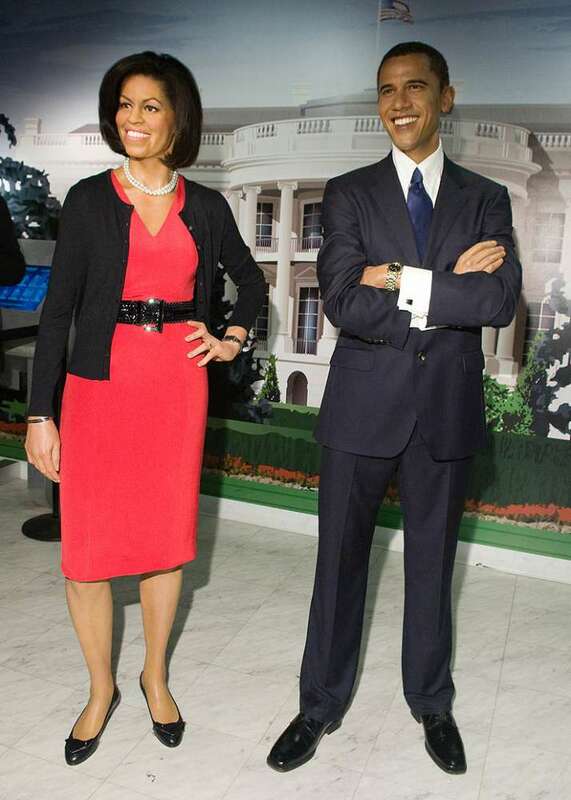 It is famous for recreating famous people, or celebrities, in wax. It is the original Madame Tussauds attraction, having been situated on Marylebone Road since 1884. 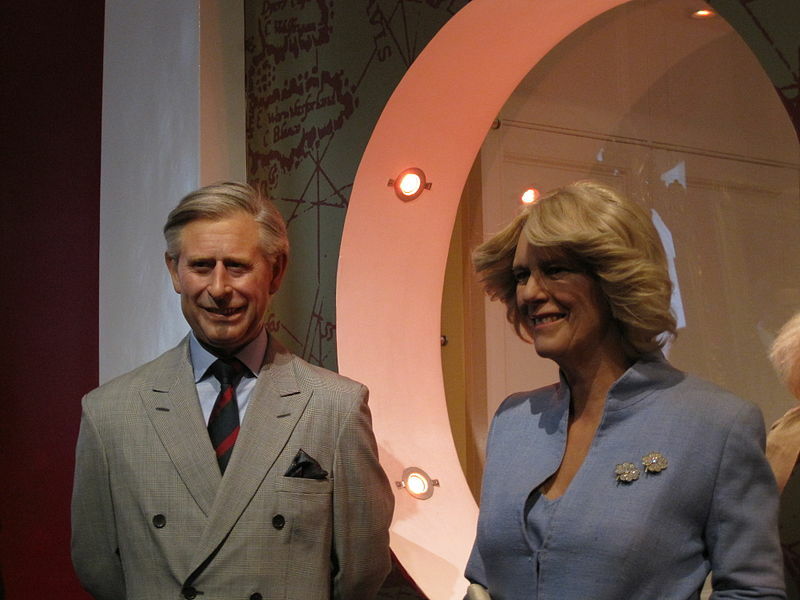 It was set up by wax sculptor Marie Tussaud. It is operated by Merlin Entertainments. One of the main attractions of her museum was the Chamber of Horrors. This part of the exhibition included victims of the French Revolution and newly created figures of murderers and other criminals. The name is often credited to a contributor to Punch in 1845, but Marie appears to have originated it herself, using it in advertising as early as 1843. Other famous people were added to the exhibition, including Horatio Nelson, and Sir Walter Scott. 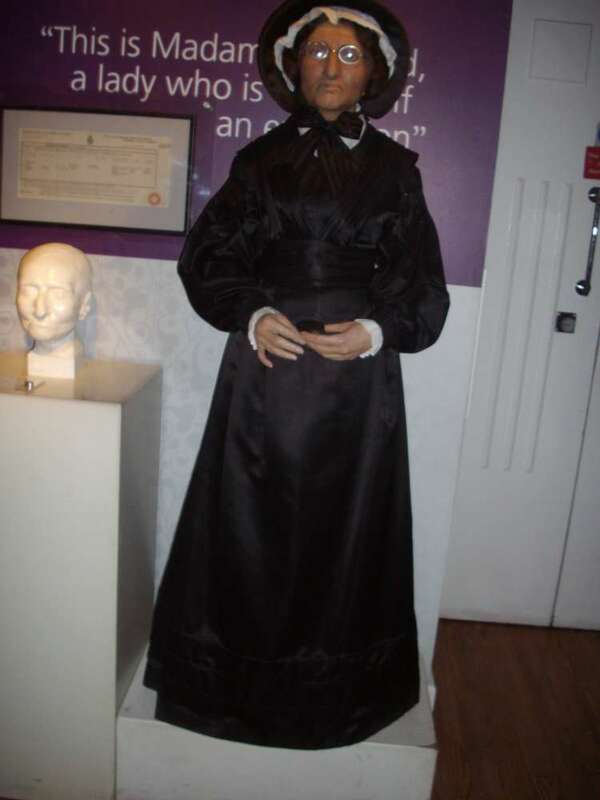 Some of the sculptures done by Marie Tussaud herself still exist. The gallery originally contained some 400 different figures, but fire damage in 1925, coupled with German bombs in 1941, has rendered most of these older models defunct. The casts themselves have survived (allowing the historical waxworks to be remade), and these can be seen in the museum's history exhibit. The oldest figure on display is that of Madame du Barry. Other faces from the time of Tussaud include Robespierre, George III and Benjamin Franklin. In 1842, she made a self portrait which is now on display at the entrance of her museum. She died in her sleep on 15 April 1850. By 1883 the restricted space and rising cost of the Baker Street site prompted her grandson (Joseph Randall) to commission the building at its current location on Marylebone Road. The new exhibition galleries were opened on 14 July 1884 and were a great success. However, the building costs, falling so soon after buying out his cousin Louisa's half share in the business in 1881, meant the business was under-funded. 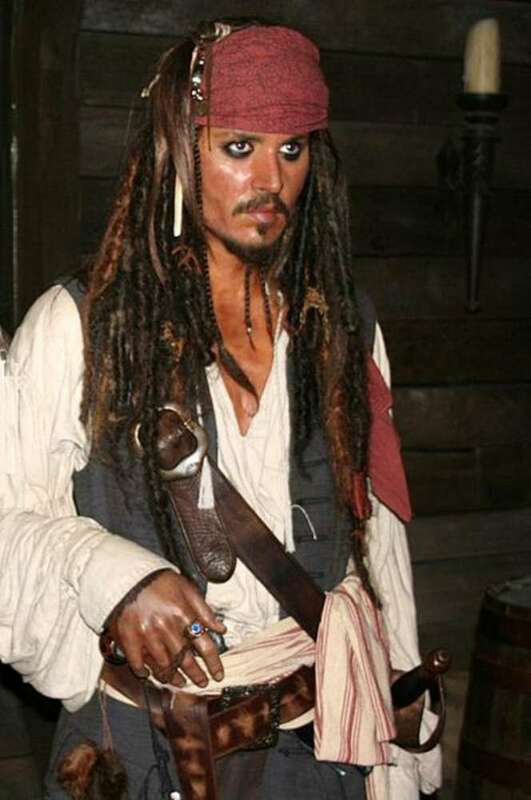 A limited company was formed in 1888 to attract fresh capital but had to be dissolved after disagreements between the family shareholders, and in February 1889 Tussauds was sold to a group of businessmen led by Edwin Josiah Poyser. Edward White, an artist dismissed by the new owners to save money, allegedly sent a parcel bomb to John Theodore Tussaud in June 1889 in revenge. Formally Blush, this is the first room on the tour. Included in this room is the Big Brother experience, plus figures such as Robert Pattinson, Morgan Freeman, Leo DiCaprio, Johnny Depp, Miley Cyrus, Keira Knightley, Angelina Jolie and Tara Palmer-Tompkinson. It is designed to make the visitor feel as if they have stepped into a celebrity party, with wax figures dispersed throughout the room. The Warhol's Women zone contains the figure of Andy Warhol and of the female celebrities he famously portrayed, including Liza Minnelli and Jerry Hall. 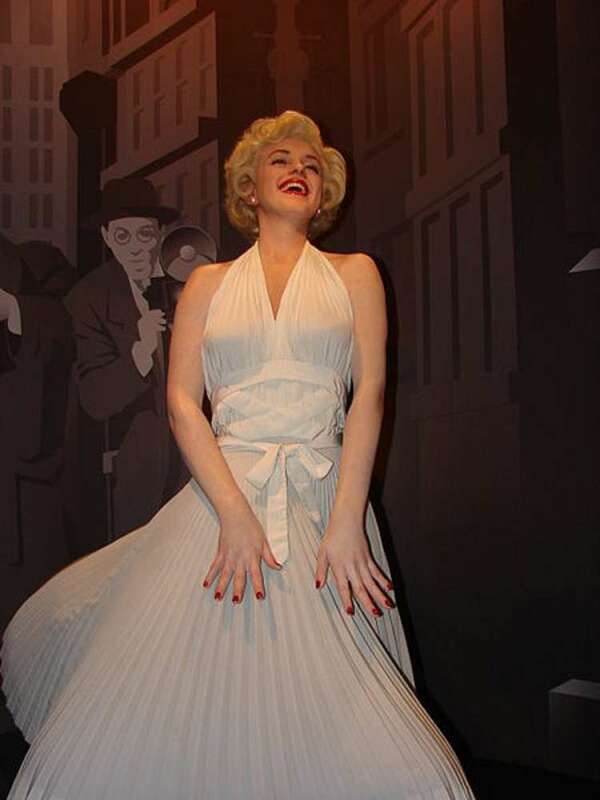 This zone houses celebrities from Hollywood, including Steven Spielberg, Harrison Ford, Jim Carrey, Audrey Hepburn, Julia Roberts, Jennifer Lopez, Whoopi Goldberg, Arnold Schwarzenegger, and Marilyn Monroe in the classic pose where her skirt is blown upward. It also houses six Bollywood figures namely Amitabh Bachchan, Aishwarya Rai Bachchan, Shah Rukh Khan, Salman Khan, Kareena Kapoor, Hrithik Roshan, Madhuri Dixit and several fictional characters, including Shrek and the smallest wax figure ever made, Tinker Bell. The Sports Zone has several interactive elements. 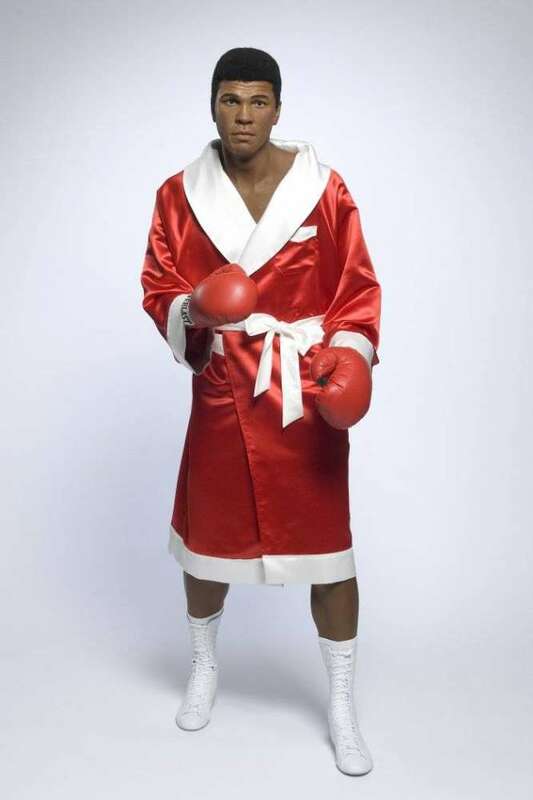 Visitors can step up to the crease with batsman Sachin Tendulkar, putt a golf ball with Tiger Woods, stand on boxing scales next to Mohammed Ali and see what 'weight' they would qualify for in boxing, take a penalty on a virtual reality screen, and test their driving skills alongside Lewis Hamilton. In the Royals there is an opportunity to stand next to Diana, Princess of Wales, Elizabeth II and The Duke of Edinburgh, Charles and Camilla, The Prince of Wales, The Duchess of Cornwall, The Duke of Cambridge and Prince Harry. A mixture of cultural icons fills this area, including William Shakespeare, Albert Einstein, Stephen Hawking, Pablo Picasso and Charles Darwin. A mixture of music stars from across the decades appears in an area with a music stage complete with glitter balls. Music icons include Michael Jackson, Beyonce, Britney Spears, Madonna, Christina Aguilera, Leona Lewis, Kylie Minogue, Lady Gaga, Amy Winehouse, Gary Barlow, Tom Jones, Bob Marley, Cheryl Cole, Robbie Williams, Justin Timberlake, Rihanna, Freddie Mercury and Justin Bieber. The Beatles in this area are posed as they appear on the album cover of Sgt. Pepper's Lonely Hearts Club Band. The World Leaders area of the attraction contains political and spiritual leaders of the world, past and present. The new figure of Barack Obama dominates this area; he is standing in a mock-up of the Oval Office which has a replica of the Resolute desk. Other leaders in this area include Margaret Thatcher, Winston Churchill, Nicolas Sarkozy, Ronald Reagan, Tony Blair, Benazir Bhutto, Martin Luther King, Eleftherios Venizelos, Mustafa Kemal Ataturk and Mohandas Gandhi. The World Leaders area is also noted for its inclusion of controversial figures, including Adolf Hitler, Yasser Arafat, Saddam Hussein and Robert Mugabe. Mother Teresa is one of the very few icons to ask not to be made, saying «her work was more important, not the person». Visitors also get the chance to stand next to the present Prime Minister David Cameron in front of a facade of No.10 Downing Street. At the time of his duties as Prime Minister, Gordon Brown was a notable omission as he had proved to be unpopular, however it is now David Cameron in this room. The Chamber of Horrors showcases serial killers and murders. Included in this area are Guy Fawkes and Dennis Nilsen. This area also exhibits the original guillotine blade that killed Marie Antoinette. The Scream experience (formally Chamber Live) is a live-action, actor-led scare maze. It is based on the premise that several serial killers have been let loose in the chamber. This attraction — on account of its thrill factor which does not appeal to all visitors — can be avoided by an exit that leads visitors to the next area. This area shows the history of Marie Tussaud, and how she started creating wax figures. It also has an area on how the sculptors make the figures, using Beyoncй as an example. The Spirit of London is a sit-down ride in which visitors sit in London taxis and are taken on a journey through the history of London. The ride starts in Tudor times and ends in the 1980s, passing through the times of Shakespeare, the Great Fire of London, the Industrial Revolution and the Swinging Sixties. The ride has commentary in a few languages and a photo is taken near the end of the ride which can be purchased when disembarked. Marvel Super Heroes 4D starts off in the Command Centre, where you will see the likes of Wolverine (portrayed by Hugh Jackman), The Incredible Hulk, Iron Man, Nick Fury (Samuel L. Jackson) and Spiderman, who is on «the roof» of an upside-down room.